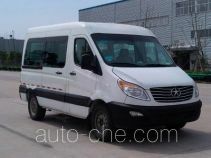 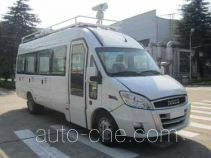 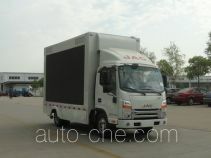 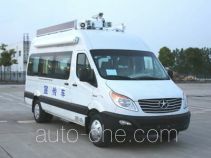 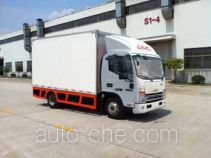 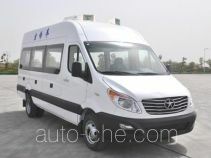 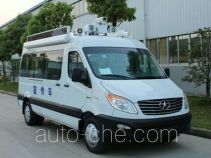 JAC propaganda van HFC5049XXCKH1F (batch #227) based on HFC6591KH1F chassis (mfg by Anhui Jianghuai Automobile Co., Ltd. (JAC), China) is made in China by Anhui Jianghuai Automobile Co., Ltd. (JAC). The company is located in Hefei, in Anhui Province, China. 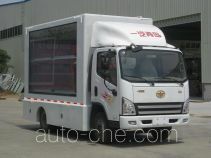 The optional lift gate, speakers, overhead air-conditioning, exhaust fans, lighting, monitors; when the vehicle speakers with high-2845mm, with a monitor or overhead air conditioning when the vehicle height 2945mm; with lighting, the monitor Curb to 2950kg, with air conditioning, while the exhaust fan curb weight is 3100kg.